Okay, it must be said: I am a complete cookie snob. Or maybe just a baked-goods-in-general snob but either way, I know a good cookie when I eat one. I like my cookies gooey and slightly underdone. I prefer to eat them right out of the oven for maximum enjoyment. Well, imagine my surprise (and delight) when I discovered lactation cookies. It seemed like there was a catch when I heard about eating a cookie to increase your milk supply. This must be too good to be true, right!? Well, after a few really bad recipes, it appeared it was too good to be true but they all tasted awful. 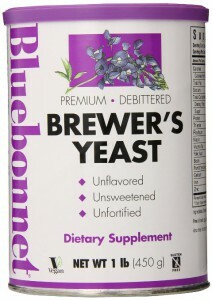 The ingredient that often causes the terrible (and typically bitter) taste in lactation cookies is Brewers Yeast. But it is also one of the essential ingredients that help make the cookie a lactation cookie versus just an everyday cookie. After some trial and error, I found it is best to use Debittered Brewers Yeast to cut down on some of the bitterness. This works great in baking. So if you are tired of popping supplement pills and gulping down herbal teas to build your milk supply, then give these yummy little treats a try! Love pumpkin pie? Then these cookies are for you! With a lovely cake-like texture and ingredients such as pumpkin pie spice, brown sugar, and vanilla these cookies do not disappoint. They are delicious! They incorporate oats, brewers yeast, and flax meal to help increase and maintain healthy lactation in mothers making these the perfect cookie for all nursing moms! 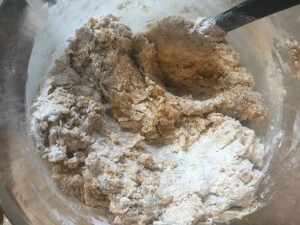 STEP 3: In a second, large bowl – Mix together Dry Ingredients: flour, Oats, Brown Sugar, Sugar, Pumpkin Pie Spice, Salt, Baking Soda, Brewer’s Yeast, Flax Meal. 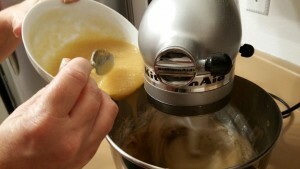 STEP 4: Add Wet Ingredient mixture slowly into Dry Ingredients, mixing as you go. Mix only until combined. Do Not over mix. STEP 5: Scoop spoon-sized balls of dough onto a greased cookie sheet. Ensure you leave about 2″ between each cookie. 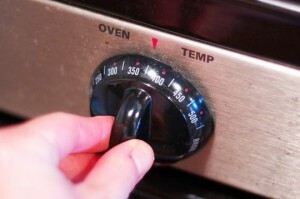 STEP 7: Remove from Oven and allow to cool. 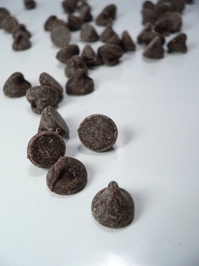 Like Chocolate Chips in yours? Or maybe need healthier options? Check out these alternatives! Want to make a healthier cookie? Try these great alternatives to change it up! Want to Print this recipe? Click here to Download a Printer-Friendly copy! 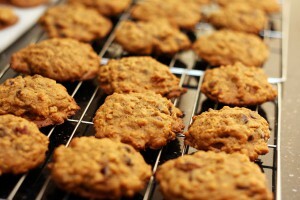 Have a great lactation cookie recipe? Share it with us! 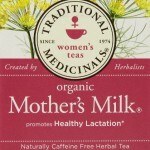 Review of Mother’s Milk Tea: Why this tea should be in every nursing mother’s kitchen. 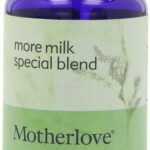 Review of Mother’s More Milk Special Blend: Why this supplement is above all others! Review of Mother Knows Best: Why this supplement is a must have! I just made these today. The mixture was super moist/wet. 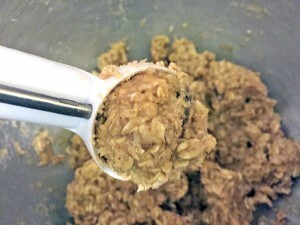 I added 1/2 cup more oats to dry it out, and it was still a more like batter than a cookie dough, which is why they are “cake-like.” They baked well and the texture is similar to muffin tops rather than cookies. They are super tasty. I topped some of mine with chocolate chips for a variety. Muffin tops is a great way to describe this recipe! I agree with adding 1/2 a cup more oats. I recently made these again and I think it does need a little more. I am going to update the recipe to match this. Thank you for the feedback!! And chocolate chips are AMAZING in these! That is my favorite way to make them! sounds great, I am looking for new cookie recipe to increase my milk. my girlfriend and I both breastfeed and are always looking to increase our volume. cannot wait to try– pumpkin sounds so delicious. Love this recipe thanks for sharing! I use only one cup of sugar only, 1/2 cup applesauce, a few more spices (I don’t have pumpkin spice mix so I use allspice, cinnamon, ginger, nutmeg, and clove) a little more flaxseed and brewer’s yeast, and half oats and half flour and they always turn out great! Thank you for sharing, Monica!! I think what you do sounds amazing and I will have to try it! I am glad these turn out so well for you! That is strange. I am sorry it didn’t turn out so well for you! I only had this problem once and it was due to my error. I bought Pumpkin Pie Filling instead of Pure Pumpkin… Ooppps. It made them very runny! This recipe is already very moist so I think the added ingredients in the pie filling put it over the top. Plus it made them way too sweet. I am very careful about that now. 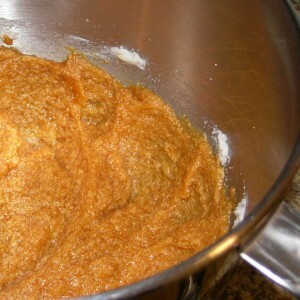 Perhaps try adding just half the pumpkin and slowly add more if you feel the batter needs more moisture. Extra flour might help but that could turn them super hard too. I know baking is a delicate balance… Hey if all else fails, try throwing the pumpkin puree, pumpkin spice, brewers yeast, a banana, some flax seed (optional), and protein powder (or fresh spinach) in a blender and make a location smoothie! I love it that way too! I hope the cookies workout for you but if not, enjoy the smoothies! Interesting! I need to go back and make the recipe again this weekend and make sure I didn’t write the recipe down wrong. You girls have me worried! Like I said, that only happened to me once… I definitely recommend adding the pumpkin slowly and making sure it’s not too wet. I am curious, though, did you try baking it anyway??? I wonder if a cake would have come out of your runny batter??!! 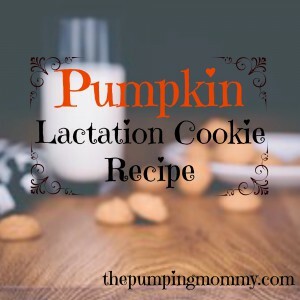 Pumpkin lactation cookies sounds like a very interesting recipe to help bring the milk out of new moms. It reminds me of a recipe in chinese medicinal herbs which requires the use of “pork feet” and “peanuts”. There are other ingredients of course, but those two are the main ingredients. While it’s all cool if it’s just a normal mom, but I noticed that Jewish people have trouble with this formula, because they are not allowed to eat pork. Your pumpkin lactation cookies sure sounds more delicioius and more likely to be kosher. Pork feet and peanuts sounds very interesting! I am not well versed in Chinese Medicine but have heard nothing but amazing things so I imagine it works! I think you are right in that the recipe will work well for various cultures. It has very basic ingredients. Heather I found your website to be very informative. I wish that I had known about those cookies 30 years ago when I had my kids. My milk dried up after 2 months and I did everything I was told to do. I wish I had known this information back then. If I could offer a suggestions you might want to think about a cookie for diabetics. Being one myself, I know other diabtic mothers would find it useful. I wish you the best of success. I have not played with a recipe yet for diabetic moms but that is a great suggestion! I have tried a few gluten free ones and have yet to find the right combo that tastes good. I will be sure to share once I find one I like!